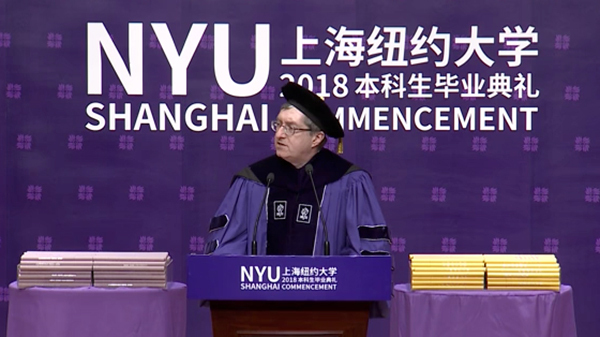 "You dreamed the impossible dream, a special kind of China dream, and in ways particular to each and every one of you, you made that dream come true. We, and your families and friends, are really proud of you." "In some ways, it is human nature to focus on boundaries. 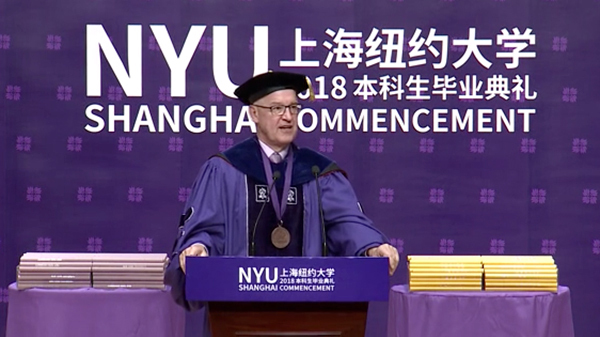 But NYU Shanghai proves what remarkable results can be achieved when boundaries are broken down – and in particular, when the US and China join together as partners and friends." 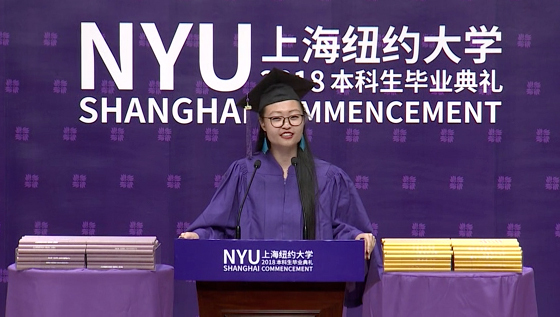 "I thought I would come out of my four years in college knowing exactly what I want to do in life, but here I am standing at the commencement ceremony, realizing that it was a process of deduction not induction. 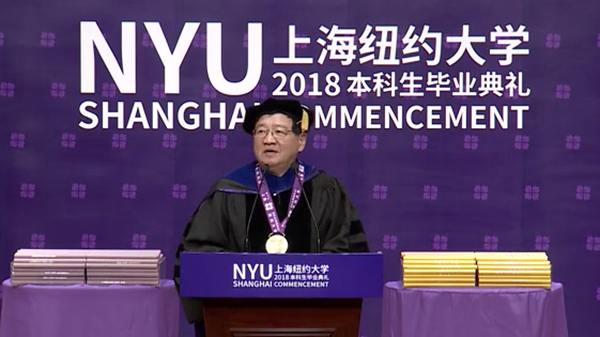 As we navigate in this turbulent world, we will inevitably be disoriented, lost, frustrated, and anxious, but we are also equipped with an open mind, an intellectual cerebrum, and a major called “the world” to take on." 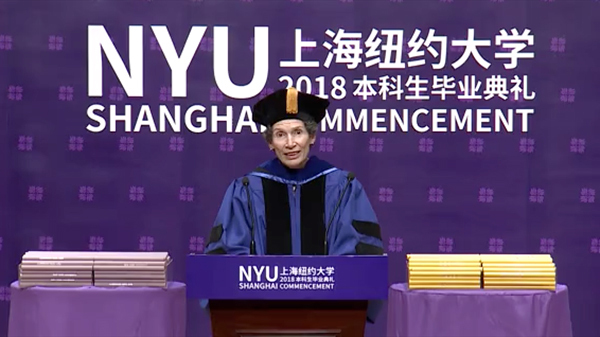 "May you continue to travel frequently beyond the places that are comfortable and familiar, so that your appreciation for the miraculous diversity of life grows ever stronger. 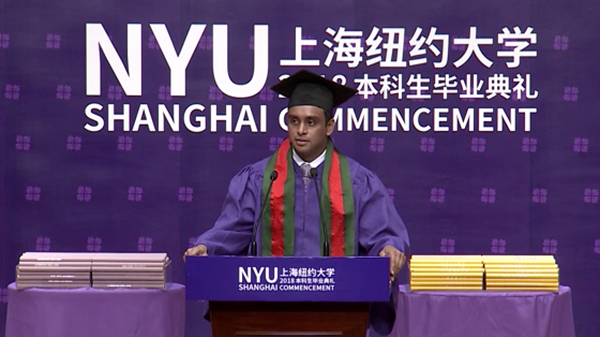 And may your steps lead you often back to Shanghai. Back to Pudong. 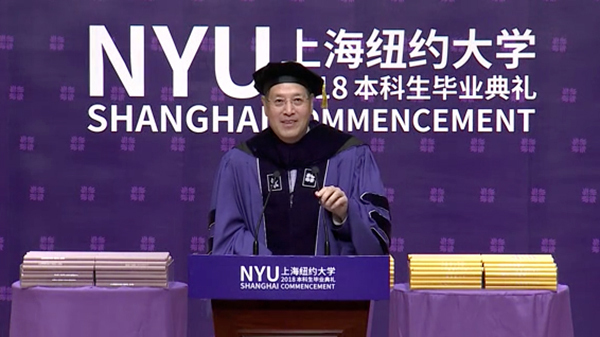 For you will always be members of the NYU Shanghai family. And we will always be happy to welcome you home." "I hope your journey of life will be full of discoveries. Keep in mind: you need to lose sight of the shore in order to discover new oceans." Watch the Class of 2018 Tribute Video and see more photos from Graduation Day.